NetSource Media is proud to announce the launch of Direct RV’s newly designed website. Direct RV offers America’s top selling recreational vehicles at discounted internet pricing. They have been family owned and operated since 1946 and are located in Souderton, Pennsylvania. NetSource Media is proud to announce the launch of B&C Trailer Services’ newly designed website. B&C Trailer Services values the opportunity to create long-term relationships with their customers and prides itself in giving the best customer service available. They are located in Wagoner, Oklahoma. NetSource Media is proud to announce the launch of Wide World RV Center‘s new website. Wide World RV Center was founded by Guy and Joan DiAndriole in 1962 and are currently a 3rd Generation family-owned business. They are located in Wilkes-Barre, Pennsylvania. 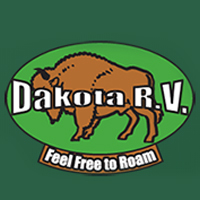 NetSource Media is proud to announce the launch of Dakota RV‘s new website. They are located in Rapid City, South Dakota and was formed by a local construction equipment distributorship after years of servicing the RV industry. NetSource Media is proud to announce the launch of Country Blacksmith Trailers‘ new custom website. They are a family-owned trailer sales and service company and have been serving the Illinois are with two locations – Mt. Vernon and Carterville – since 2001.